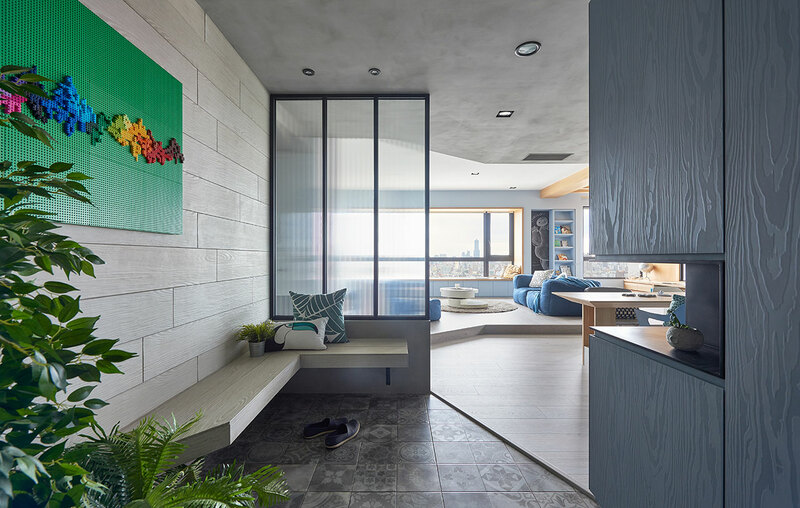 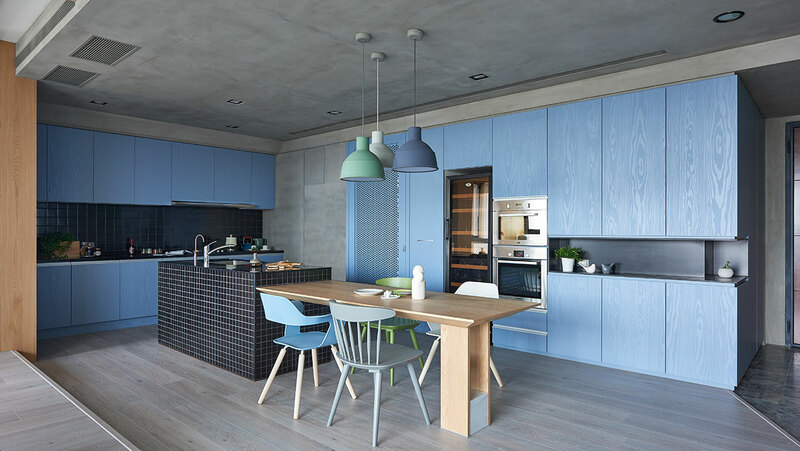 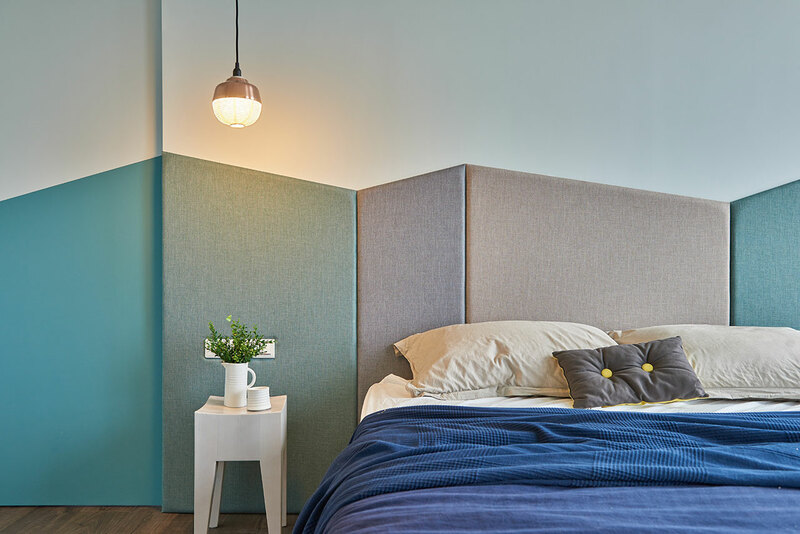 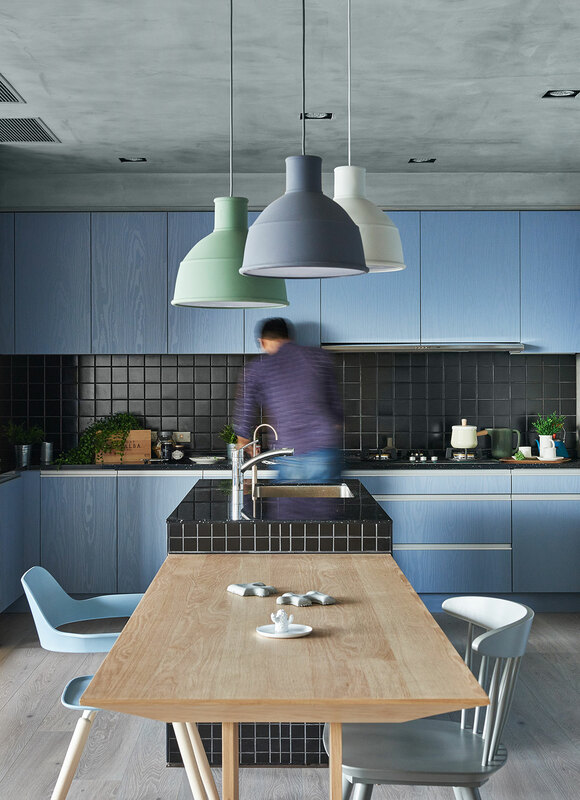 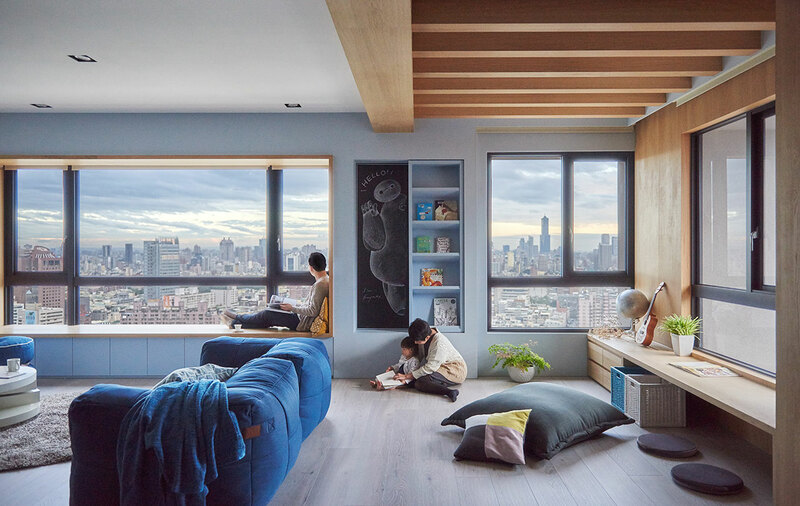 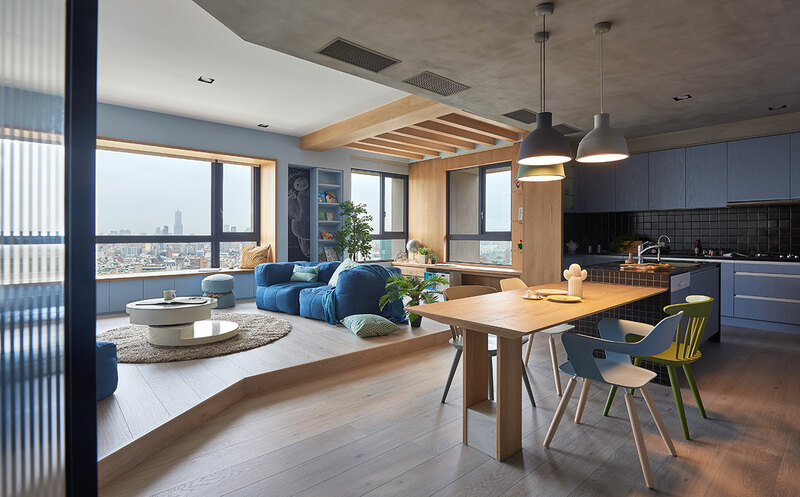 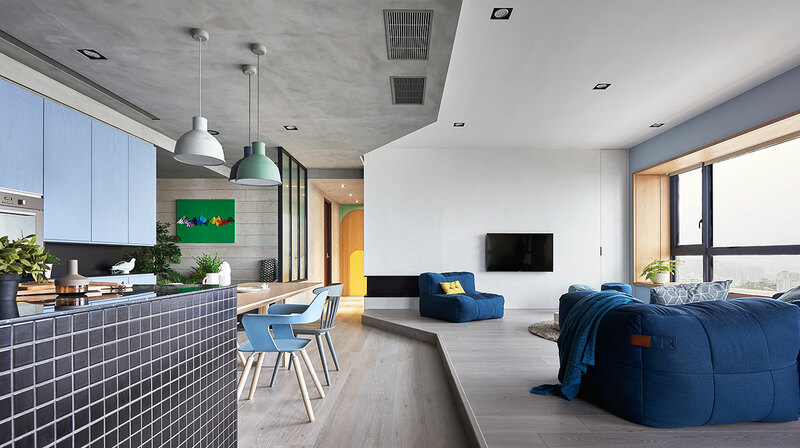 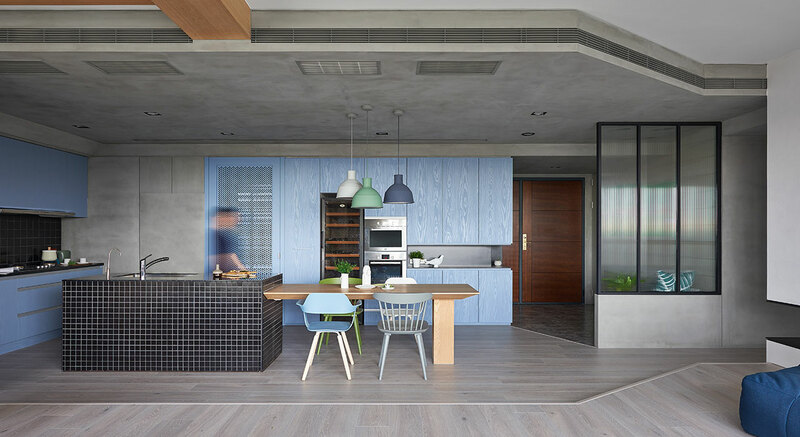 From the drawing boards of Taiwanese studio HAO Design comes this serene family apartment in Kaohsiung City, which bridges the challenges of raising two children with the owners’ affluent city-dweller lifestyle. 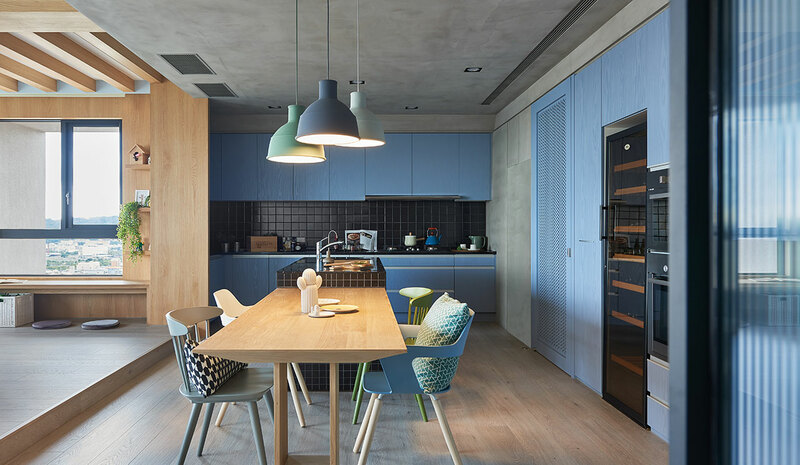 Designed as a place where the family can share experiences and memories, the house features an open-plan kitchen adjacent to the living room, offering ample space for the children to play while the parents can indulge in one of their favourite hobbies: cooking. 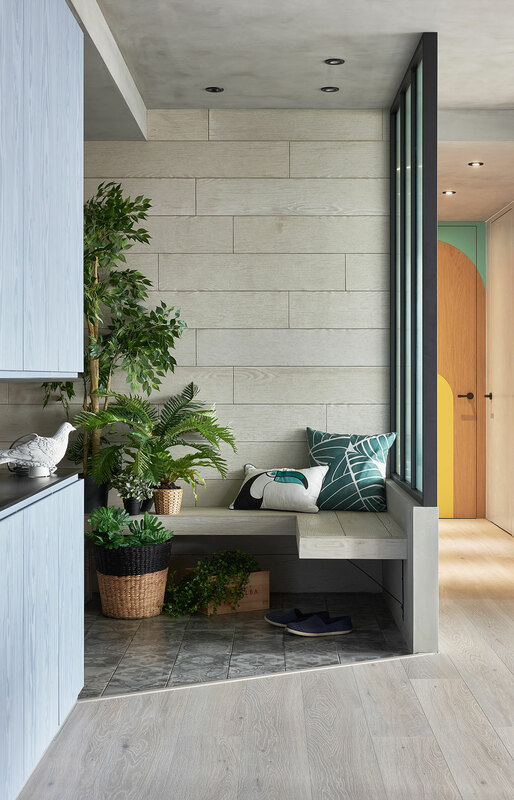 A neutral palette of greys, greens and blues has been used throughout, as a way to make the spaces cheerful enough for children to find pleasing but without compromising the adults’ more sombre taste. 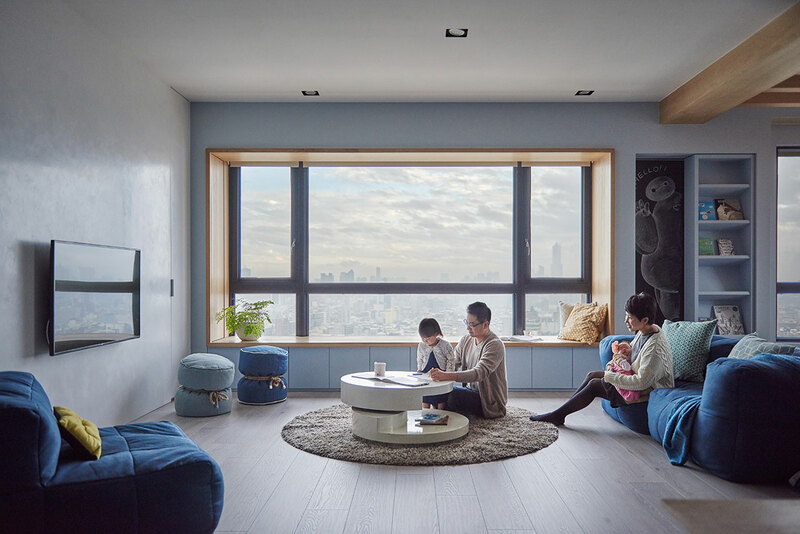 The use of matte finishes on structural surfaces and objects makes the whole space feel soft and welcoming, despite the cold colours and in contrast to the vast sea of grey skyscrapers that stretches beyond the windows. 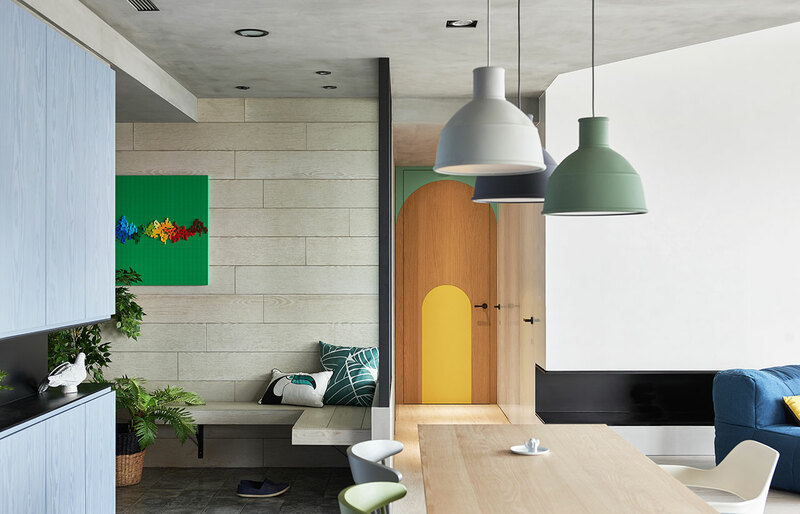 As a way to excite the children’s curiosity and help them cultivate their creativity, special features have been added all around the house, including little niches that serve as hide-outs, a Lego-brick “painting” in the lobby which can be dismantled and recreated in limitless combinations, and of course a blackboard wall for drawing. 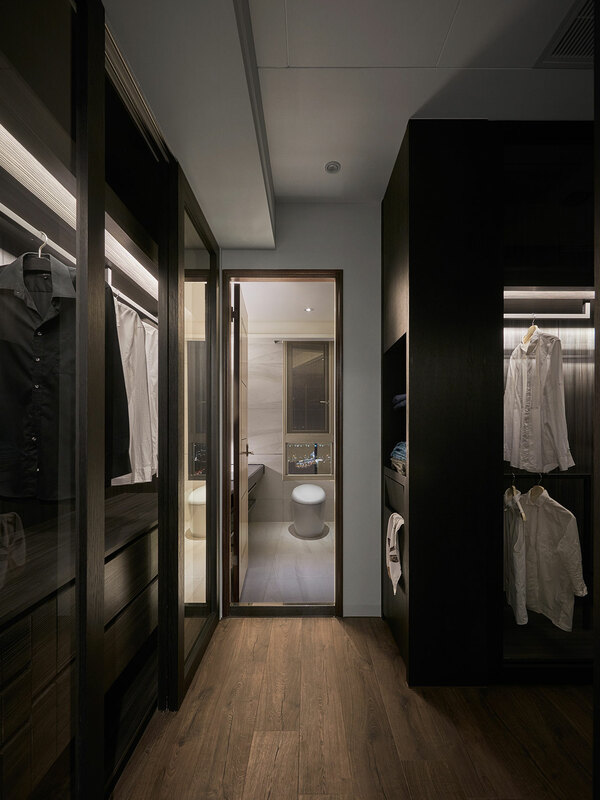 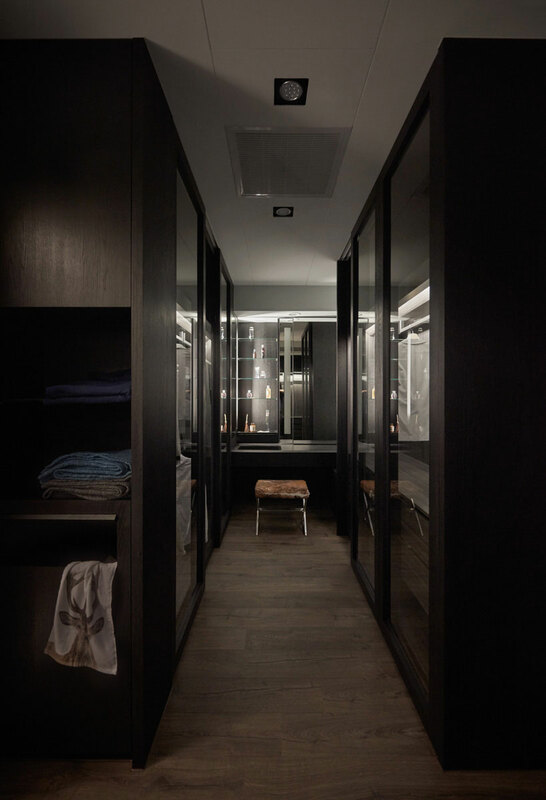 In the children’s room, the closets were given a playful configuration to further excite the young ones' imagination, designed in such a way so that it can be adapted later on to suit the children's taste as they grow older.